Russia's cosmonaut Alexander Misurkin early on Wednesday. 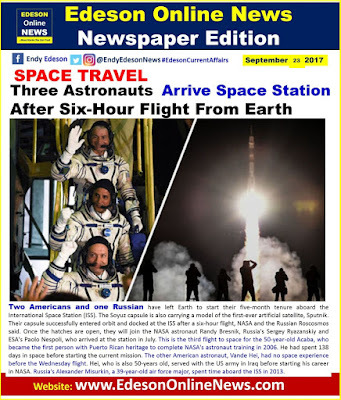 Their capsule successfully entered orbit and docked at the ISS after a six-hour flight, NASA and the Russian Roscosmos said. 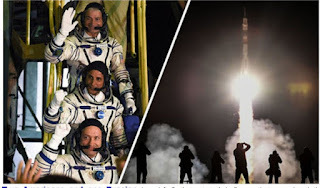 Once the hatches are open, they will join the NASA astronaut Randy Bresnik, Russia's Sergey Ryazanskiy and ESA's Paolo Nespoli, who arrived at the station in July.